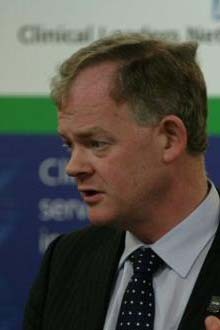 The premature death of Aidan Halligan at the age of 57 is more than the passing of a great man and our vice president. We have lost a friend, ally, free thinker and orator. A man of unequalled courage, integrity, colour and passion, who spoke truth to power and everyone else. He is, quite simply, irreplaceable. Many will remember him as the national clinical leader for clinical governance as part of health service reform at the turn of the century and then as a charismatic Deputy Chief Medical Officer. He could have achieved high office in the NHS or anywhere else but he was an independent thinker who would not trade integrity for promotion. He then pursued his two lifelong ambitions to improve the quality of clinical leadership and lead improvement in care for those in most need,which led to ground breaking work on behalf of the homeless. Latterly he was leading the NHS Staff College from strength to strength and had started a ground breaking project, Well North, to improve the health and care of deprived communities in ten cities of the North of England. A project that he described in an unforgettable address to us all at a College of Medicine reception in the House of Lords earlier this year. He will be remembered by many generations as an outstanding orator. Without notes he would bring an audience to tears or laughter but always with a serious underlying message as to how we could all do better. He was an enemy of cant,vested interest and inflated egos. To everyone else he offered support, hope and wise counsel. He was a deeply good man and will be irretrievably missed. his patients and friends. What a sad loss to his family.